The Elder Law Group serves the people of Eastern Washington through legal and planning services focused on retirement, end of life care, and other complicated matters that impact those in the second half of life. Their approach is to listen carefully and truly understand their clients and help them put in place a plan to live well. 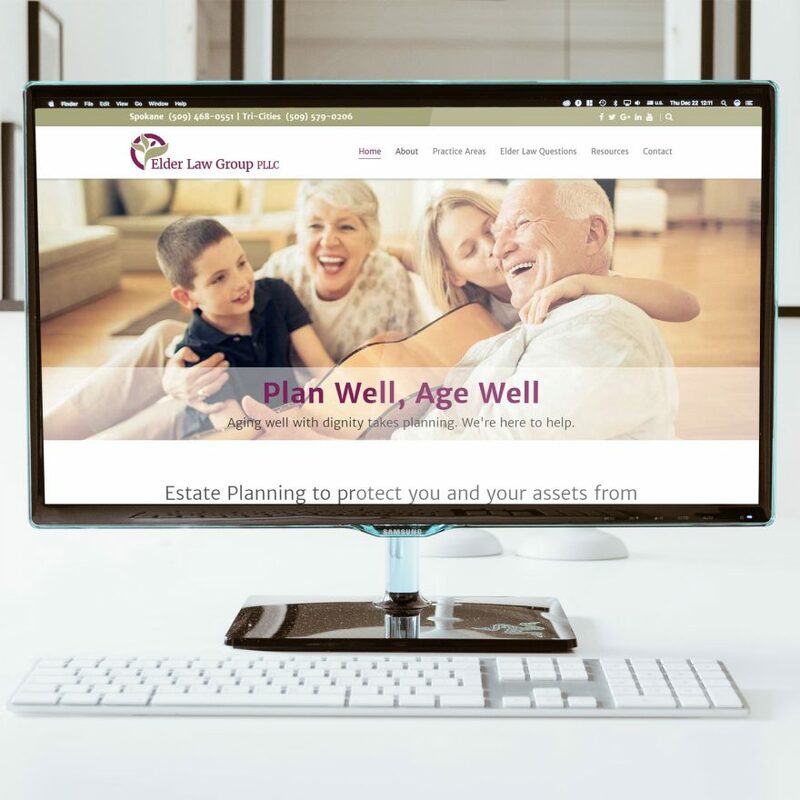 FourTen Creative was privileged to partner with the ELG team in the creation of a totally new website presence and provide an update to their brand. The website provides customized tools for promoting their training events, intake forms, and a blog focused on lead generation. Our custom design process ensured that the website reinforced and leveraged the brand identity of the firm and was set up to be the engine for future digital marketing growth.